The premier choice for suspension-tuning and industry-leading products for high-performance vehicles. 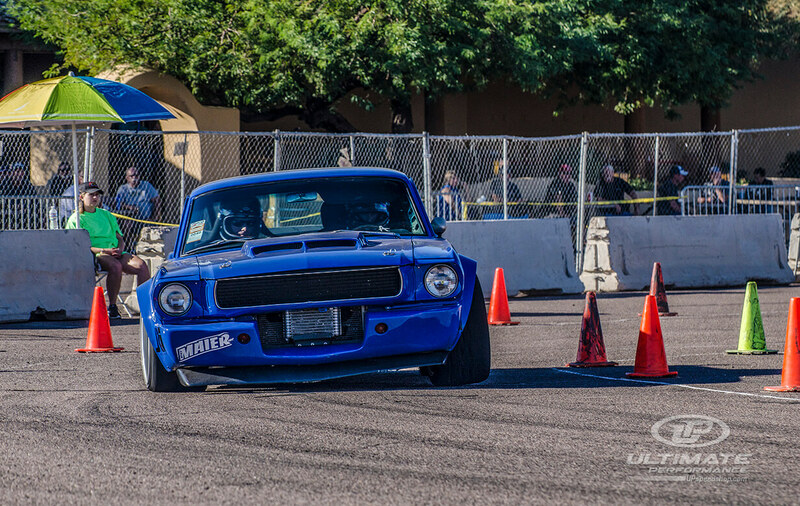 SCOTTSDALE, ARIZONA – The Ultimate Performance’s 2016 season came to an end as Goodguys hosted their last event, Duel in the Desert, at WestWorld of Scottsdale on November 18-20. 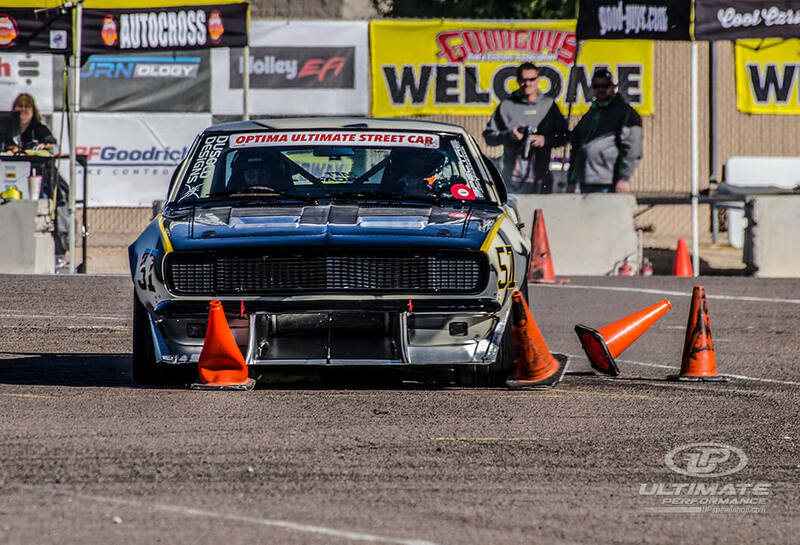 Goodguys hosted 15 regional autocross events this season with top qualifiers receiving an invitation to Duel in the Desert, where the winner of the 2016 season is determined. With 66 participants invited to the event, Friday and Saturday were spent putting down the fastest times possible as only 32 advanced on to Saturday afternoon. Of those top 32 drivers, nearly half the competition was made up of Ultimate Performance drivers and customers. As the day pressed on, UP continued to dominate the field by claiming five of the top-8 spots before finishing in first, second and fourth place. 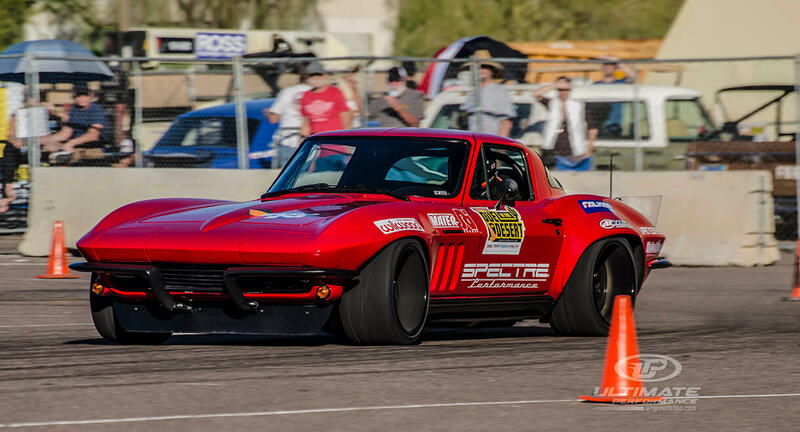 In the end, it came down to two-time champion Danny Popp in his ‘73 Corvette and weekend leader Scott Fraser in his ‘66 Cobra battling for first. 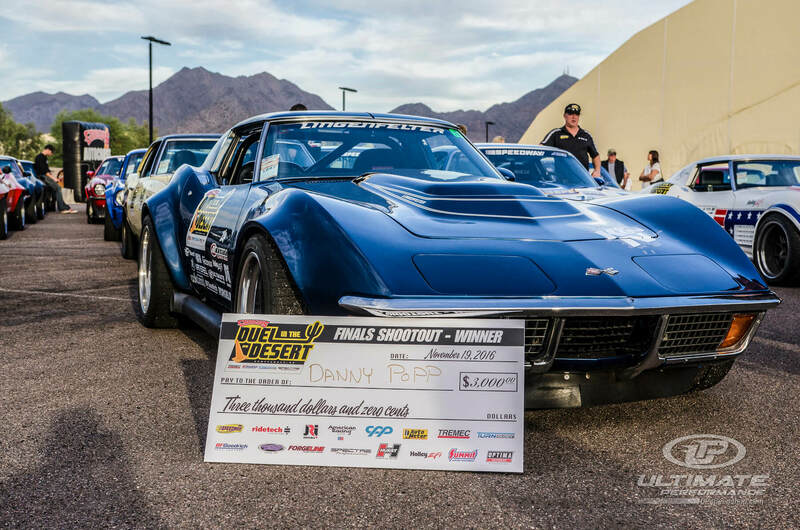 Danny outraced Scott by only five one hundredths of a second allowing him to claim his third victory at Duel in the Desert, as well as, the All-American Sunday Winner. Scott finished second with 2014 champion Brain Hobaugh taking a fourth-place finish. We were honored to work with such great drivers this season and appreciate their support. We look forward to seeing what 2017 has in store. For more event photos, click here.